As survival rates for serious medical conditions such as cancer and stroke increases, along with the diagnosis and management of other lifelong ailments such as diabetes, many patients face a life of enduring neuropathic pain. Currently, this type of persistent pain is most commonly treated through surgical or pharmaceutical intervention, which have the potential to cause additional undesirable side effects. 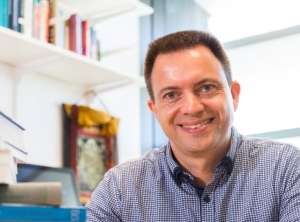 Reducing persistent neuropathic pain through methods other than medication or surgery will be the focus of new research conducted Professor Michel Coppieters, the newly appointed Menzies Foundation Professor of Allied Health Research at Griffith University. The research will concentrate on understanding the specific mechanisms of neuropathic pain, how it evolves, improving the way it is diagnosed and the potential for non-surgical and non-pharmacological management. “Neuropathic pain is common, but very difficult to manage,” says Professor Coppieters. “And it is pain that serve no purpose. Neuropathic refers to pain is that which originates from the nervous system itself. “It can be from the peripheral nervous system or central nervous system,” says Professor Coppieters. Neurotic medication, such as chemotherapy. “For example, following breast cancer treatment, 20 - 60 percent of of women develop neuropathic pain in their arm, and some may experience significant functional limitations,” says Professor Coppieters. “Considering the increased survival rates and longer life expectancy, prevention and successful management of these side effects is important as they can have a significant impact on people’s lives,” he says. But Professor Coppieters says it’s important to note that the distinction between the peripheral and central nervous systems is largely artificial. “Following peripheral nerve injuries, changes occur in the central nervous system which typically increase the pain intensity. To date, there have been no similar research projects undertaken at the university, which Professor Coppieters says will concentrate on better understanding the conditions that affect the musculoskeletal system, in order to develop better clinical diagnoses and management strategies. “Pain is largely influenced by the immune system,” he says. “Neurons in our brain and spinal cord are outnumbered by other cells, such as glia cells, which are immunocompetent. To more effectively manage neuropathic pain long term, Dr Coppieters says it is important to be able to identify in advance which patients are likely to respond positively to a particular interventions, and which patients will not. “We also like to understand how that treatment works,” says Professor Coppieters. “The research will focus on specific populations and the impact of exercise and pain education on those populations. Along with measuring the impact of physiotherapy and exercise, Professor Coppieters says pain education of patients and their relatives will be a primary component of his research. “It’s a neuroscience based pain education: empowering patients with knowledge about pain. “What is it, what does it mean, what affects it?